Use this more as a point of reference rather than actual step by step guide. The parts and truck used in this exercise is for OFF-ROAD use only. Here are the parts as it comes in the kit. You can also check out the kit on our website HERE. 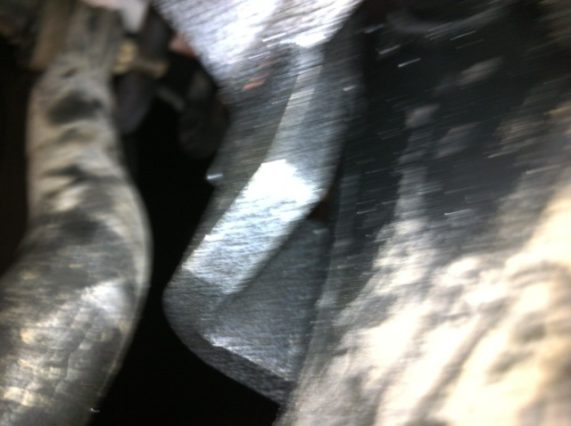 Left to Right: EGR block off plates, located at the top of your intake horn. 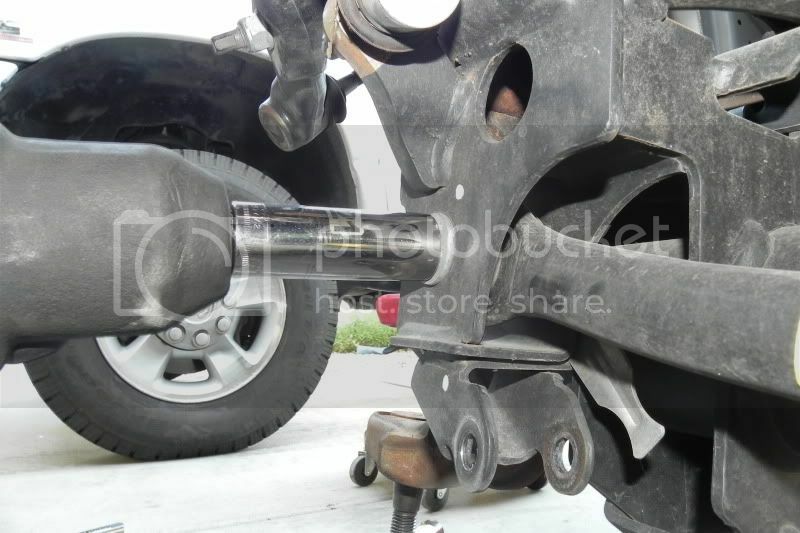 EGR cooler block off plates that mounts to your exhaust manifold. (Bottom) Cooler adapter that allows the coolant hose to replace the cooler. 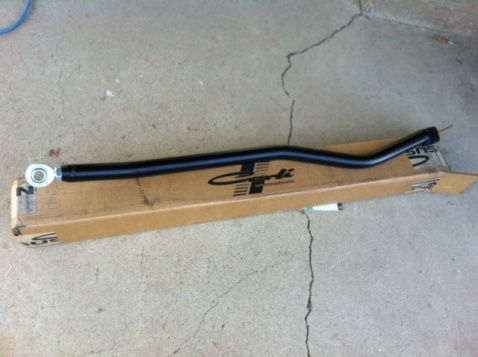 (Top) Bypass cooler hose. (Top Middle) Cooler hose adapter that threads into the back of your head, which completes the bypass hose circuit. Tools needed: 8mm, 10mm, 15mm both shallow and deep. Some scrap metal to remount the transmission dipstick and some pipe sealant. Since Shibby chooses to leave the cooler plates in raw form we decide to give ours a little color. For this truck we used Cast Iron coat from Rustoluem. You can choose any color you like, just make sure it has a high heat threshold. Let’s identify a few key components for the removal procedure. 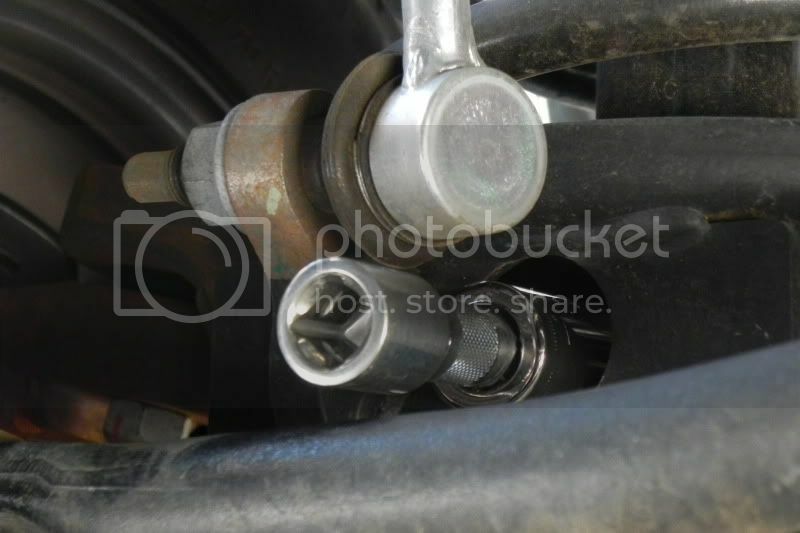 This is the EGR valve picture located on the driver side of the vehicle. EGR Cooler on the passenger side of the vehicle. Now that we’ve identified the key parts let’s start the removal process. 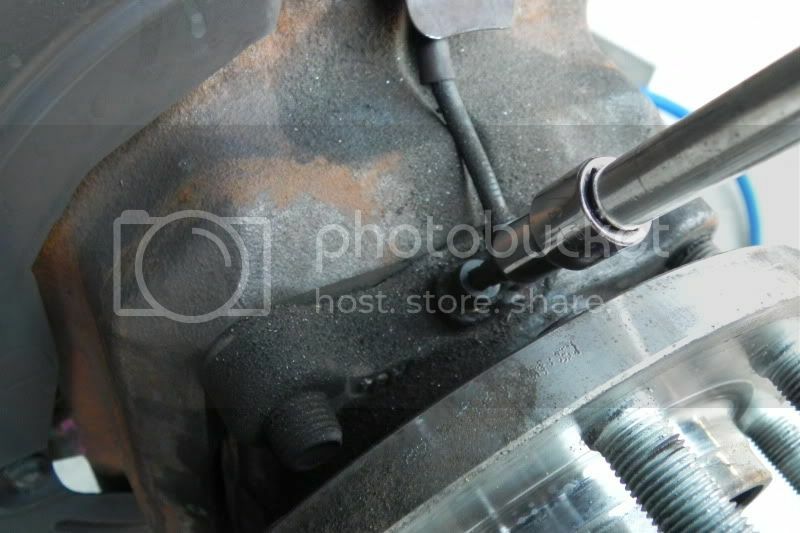 Start by removing the connectors at the egr valve and the temperatur sensor. Zip tie those out of the way. Next we need to remove the pipe running from the EGR valve to the cooler. 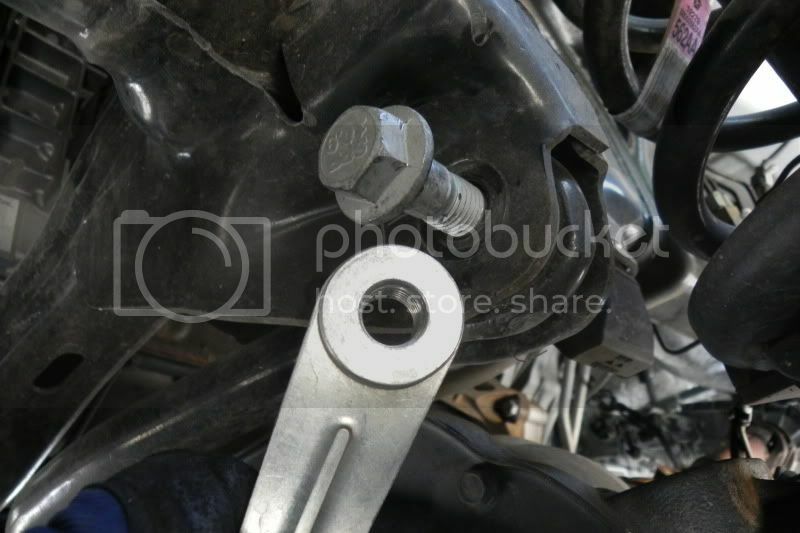 Do this by removing the 11mm bolts that hold the clamp together. 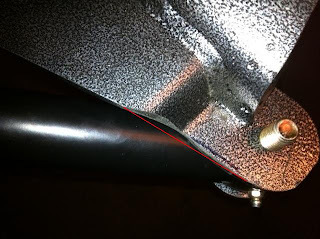 Special note: There is a small 8mm bolt on the very front of the motor that holds the tube down. Remove this and reinstall. 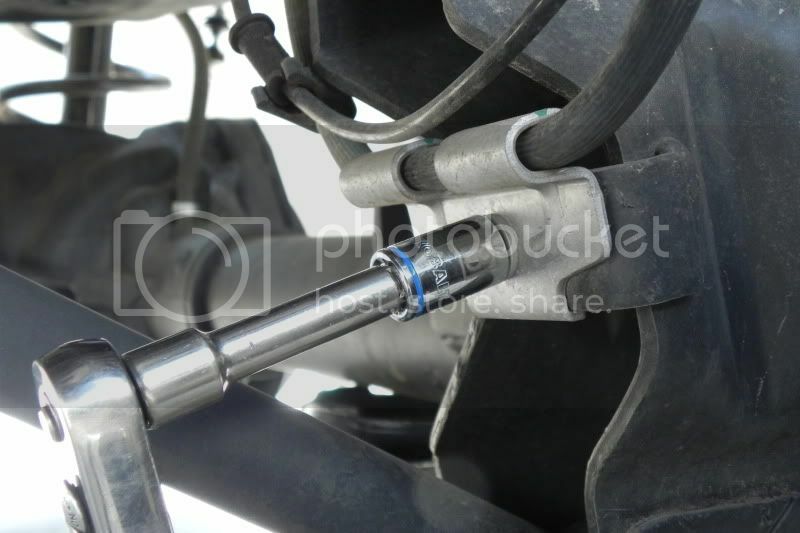 With the tube removed you now have access to remove your EGR valve. 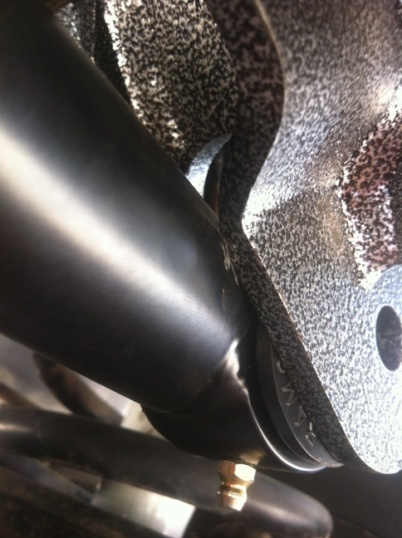 Install the two aluminum EGR plates, with appropriate gaskets supplied. The EGR cooler is next. 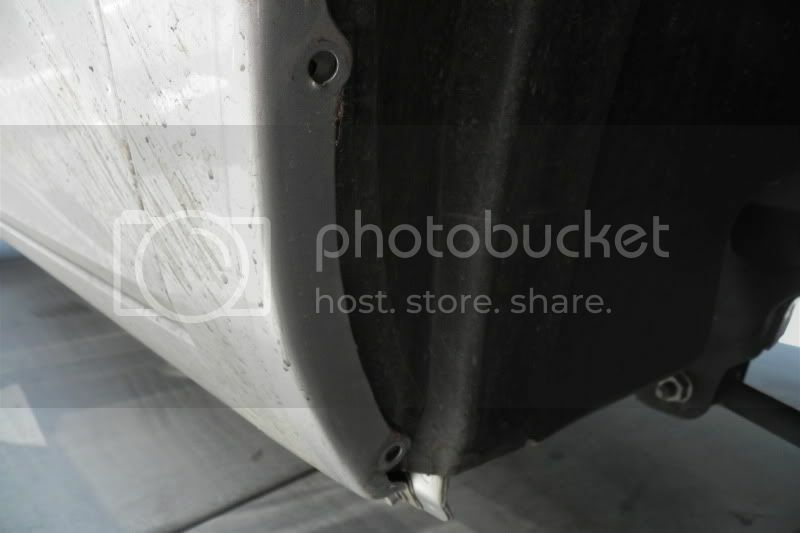 At this point you may consider removing the entire air cleaner as this gives you a little better access to the mounting bolts on the cooler. 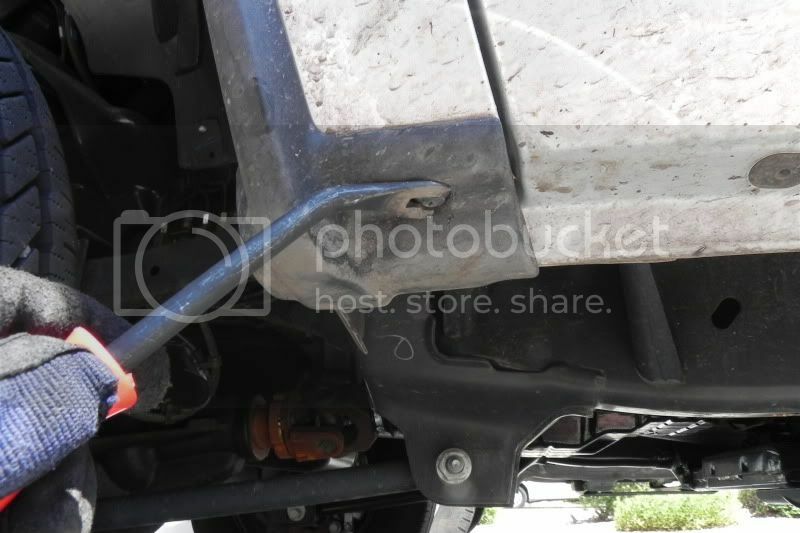 We found that taking off most of the little things on the cooler helps give you access to the 15mm bolts holding the cooler to the exhaust manifold. 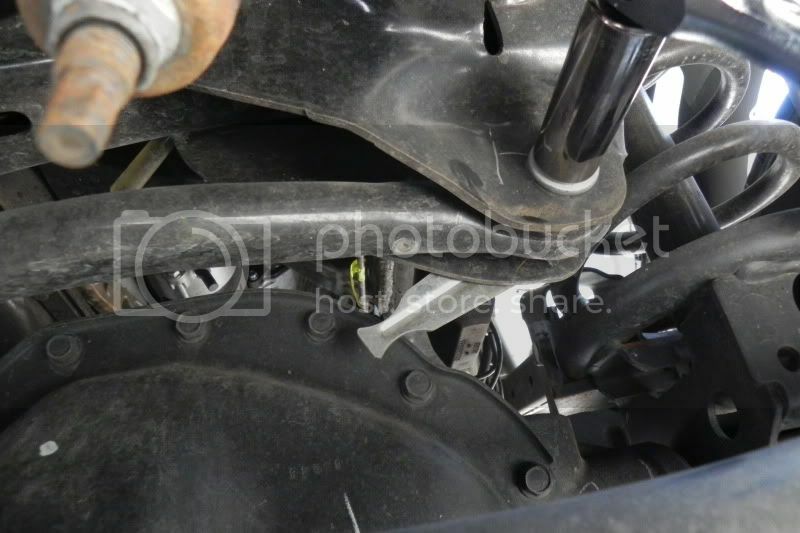 This includes removing all bolts holding the exhaust shields, the transmission dipstick tube and the inlet to the EGR cooler. Heat shields removed. Now you should have a little bit better access to the 2 x 15mm nuts that hold the inlet housing to the exhaust manifold. 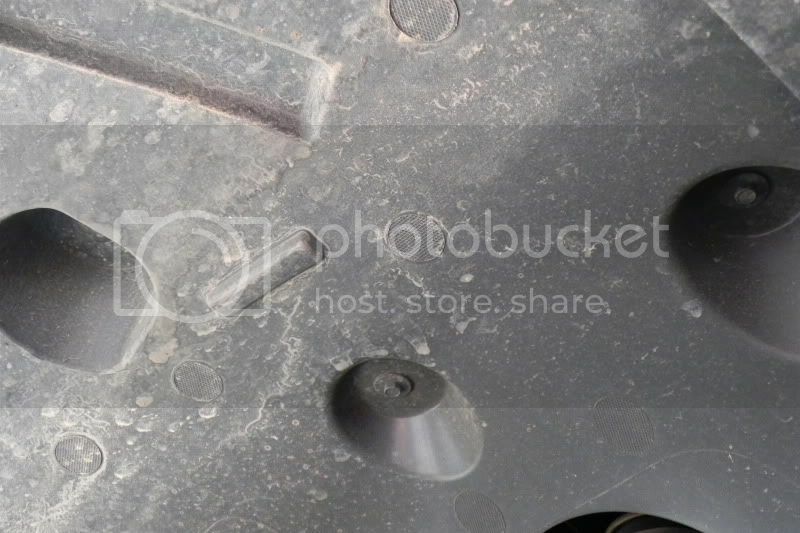 You will also need to remove the 4x 10mm bolts holding the inlet housing to the cooler. 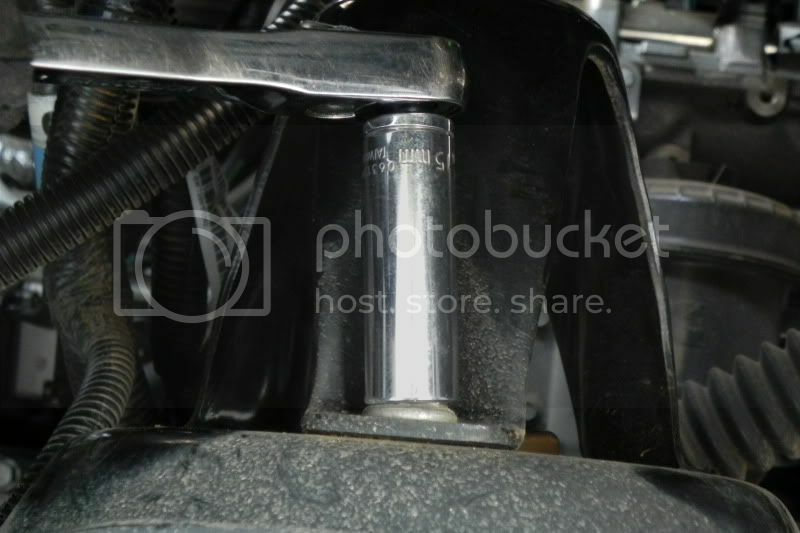 With the inlet housing out we can move onto the back 2x 15mm in the very back and the 2x15mm bolts that are hidden under the cooler that mount it to the side of the exhaust manifold. This is where removing the air intake system comes in handy. Starting to look cleaner now?? 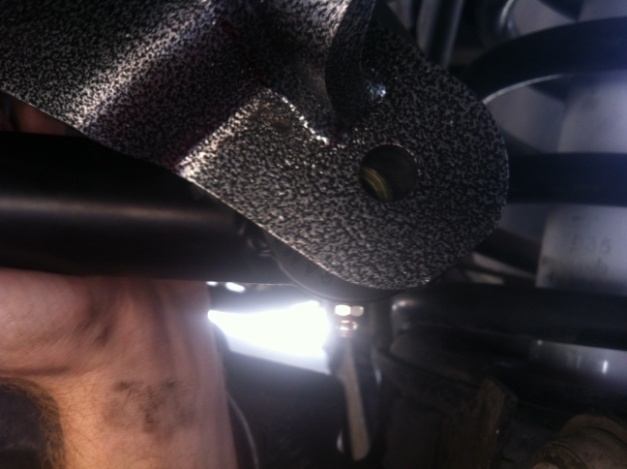 Picture of the two 15mm bolts that mount to the side of the cooler, very tight fit! 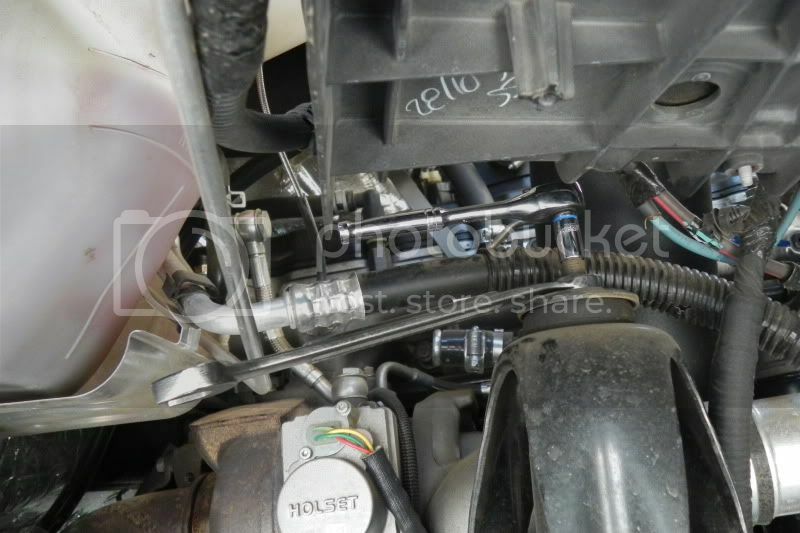 We couldn’t get a picture of the 2x 15mm nuts that hold the back of the cooler to the manifold, but just feel your way back there and a small extension will make short work of it. (NOTE) When you’re ready to finally remove the cooler just wiggle both inlet and outlet lines at the cooler and they will just pop out. There will be a decent amount of coolant left in the cooler, if you choose, you may dump this into the overflow bottle to replenish any lost during the removal process. Coolant will leak out but just top off your radiator with Mopar coolant or Distilled water if the contents of the cooler were not enough to refill. Here is a shot with the cooler removed. You can also see the last 2x 15mm stud’s that hold the cooler to the manifold. Next step is to remove the inlet adapter at the head. 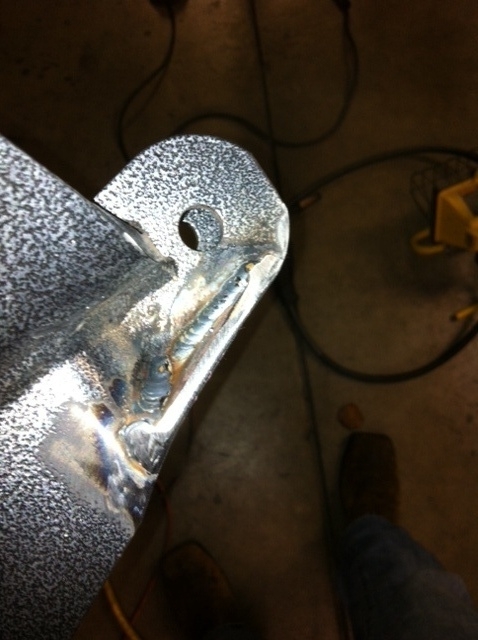 This can be removed with a 1” open end wrench. Your kit came with a new adapter that has a barb style fitting to it. Install this in place of the old adapter. Put a little pipe sealant on it for added sealing. There is a special adapter designed by Shibby that holds the new bypass house to the metal inlet pipe. Installation is straight forward. 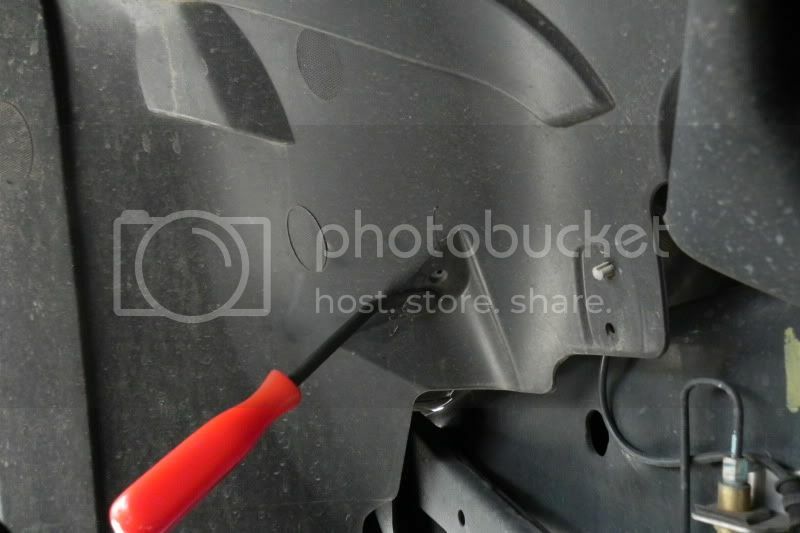 Now install the supplied hose and the exhaust cover plates including the gaskets as scene in this picture. 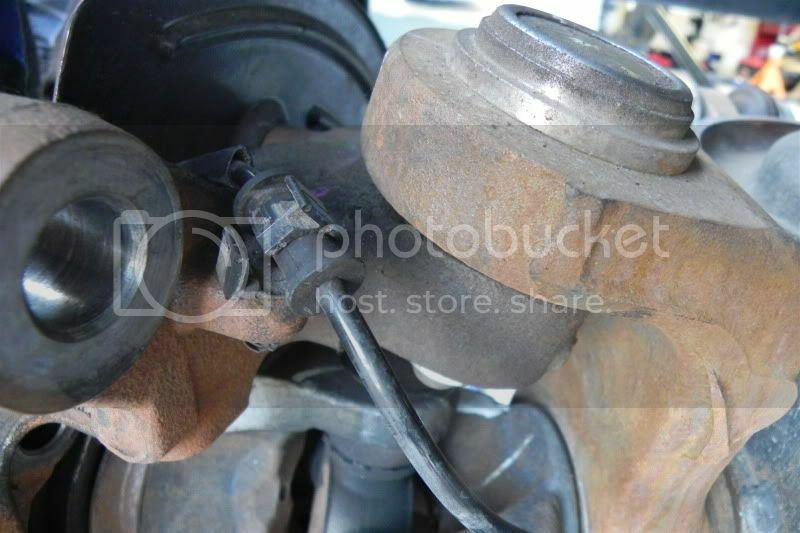 Be sure to use two washers per stud on the exhaust manifold. 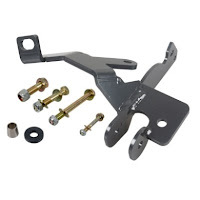 This aids in distributing the clamp force as well as allowing for expansion/contraction of the plate below the fastener. 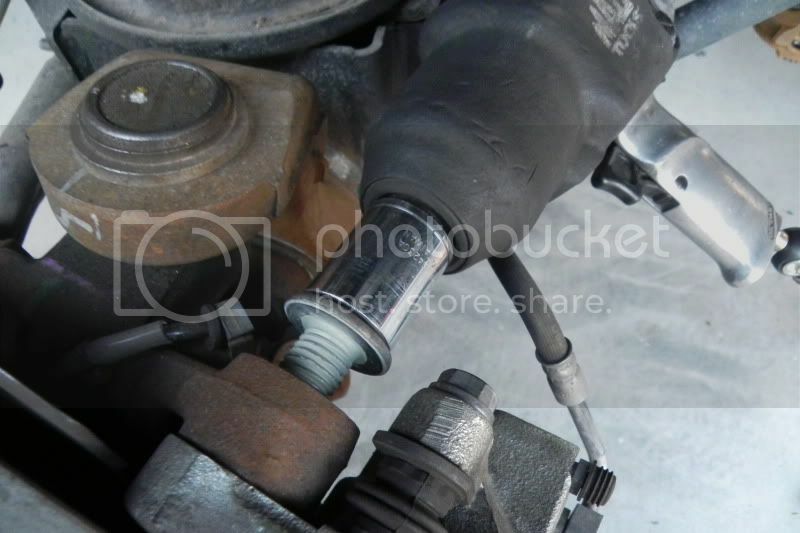 Another tip is to tighten the hose clamps down with a quarter inch ratchet as usually using only a screwdriver will not allow them to fully seal. There is one thing that Shibby does not supply and that is a Transmission dipstick bracket. 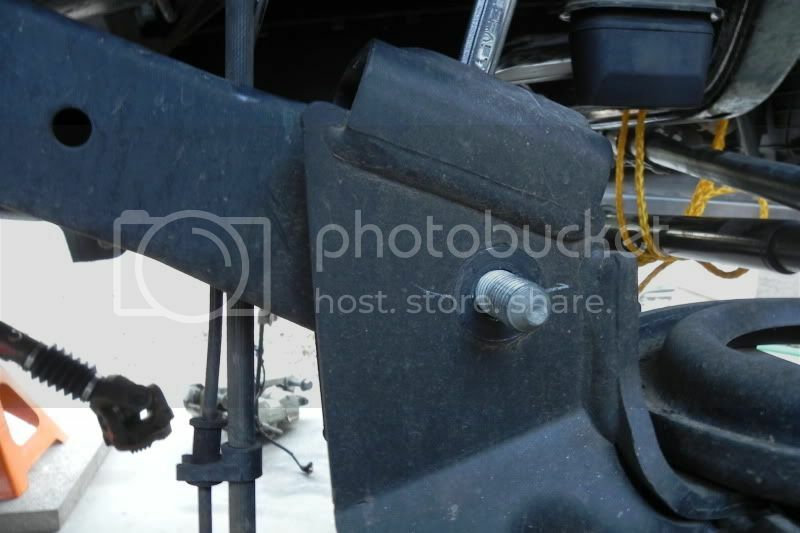 The EGR cooler bracket can remain installed in the truck to keep this mounting point or if you choose you can do like we did with some scrap metal, and just bend up a new bracket to remount it to the head. That’s it!!!! 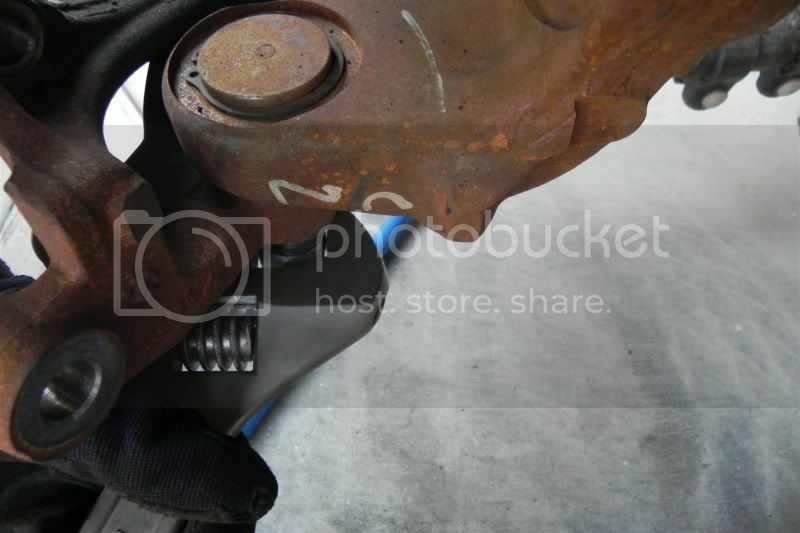 Go over fastners on all plates and clamps one last time checking for proper torque. 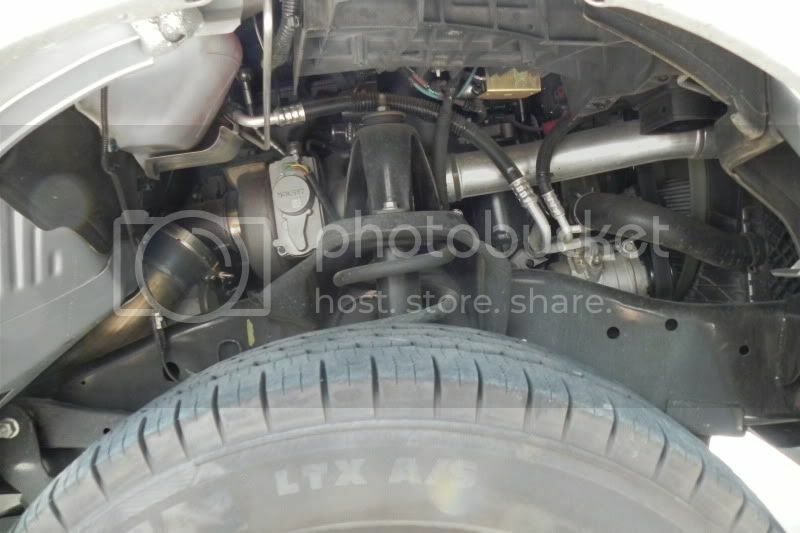 Inspect engine bay and clear of all spare parts/tools and get ready to start the truck. 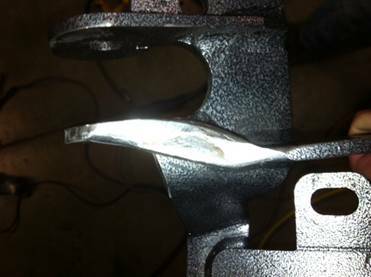 Fire up the truck, while it is warming up look for any exhaust leaks, noises and any coolant leaks from the parts installed. 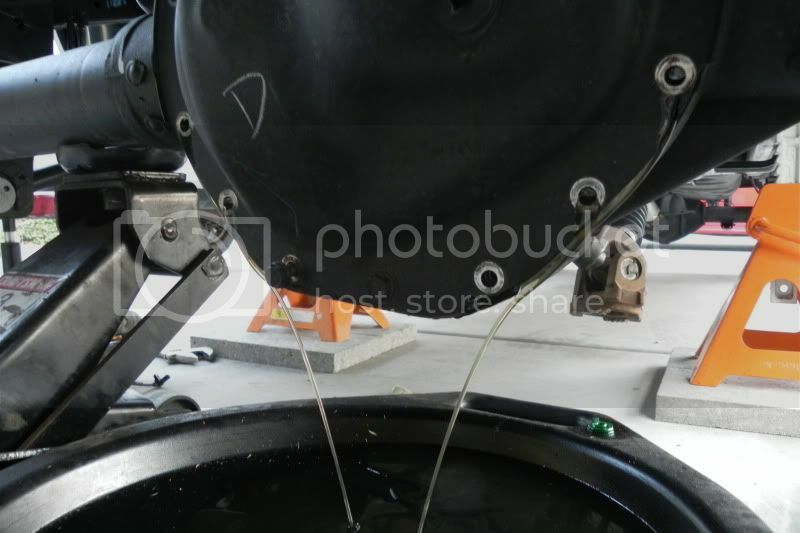 After a few driving cycles (5-10) recheck torque on EGR cooler delete plates as some thermal cycling may relax the gaskets and lessen the clamping load. 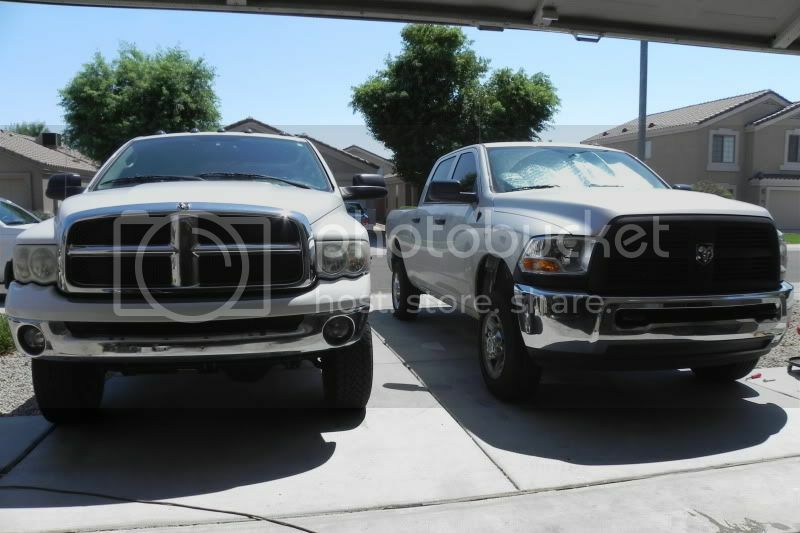 As always, if you have any questions about this installation or would like to purchase any other products, feel free to check out our website at http://www.straptperformance.com or give us a call at (602)773-6668. 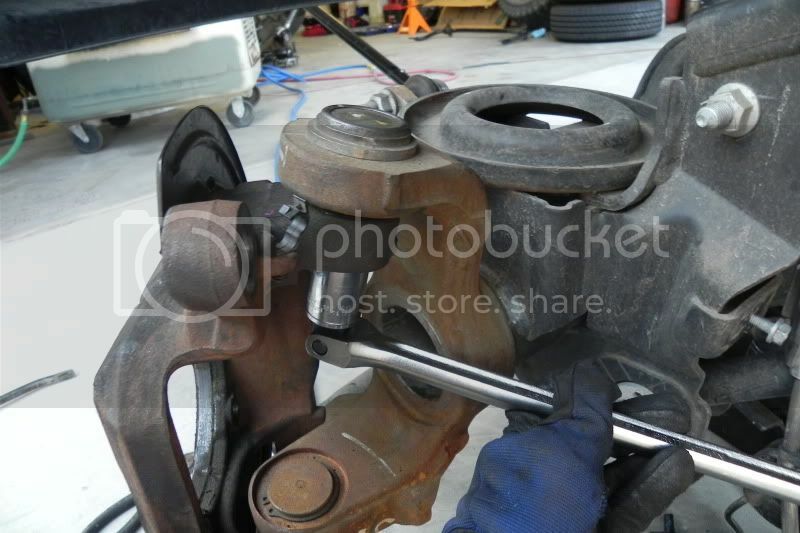 Removing axle sounds kind of scary at first but really, its just a handful of bolts and some position of the truck on jack stands. We wanted to show that it can be done in your driveway, by yourself and in 110 degree weather. Some power tools were used but mostly all by hand. The first time it would be wise to have someone give you a hand since the axle is a little heavy. 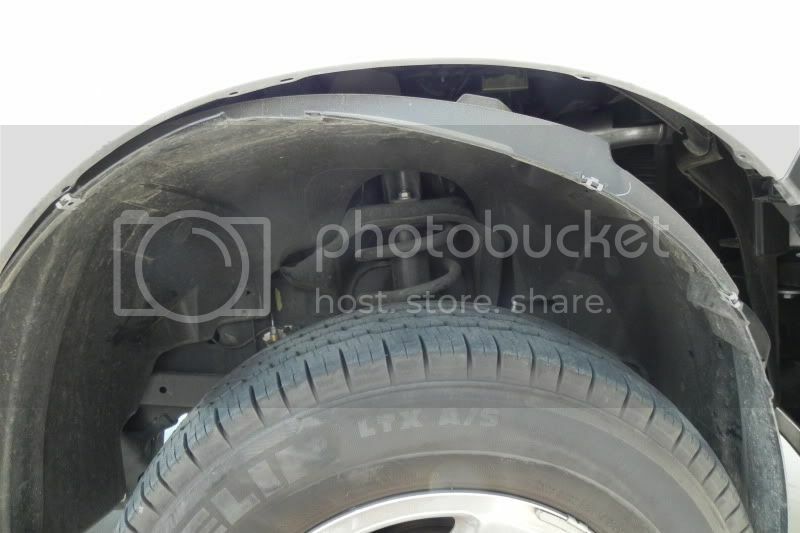 4th gen's have a few screws and clips holding on the fender liners. 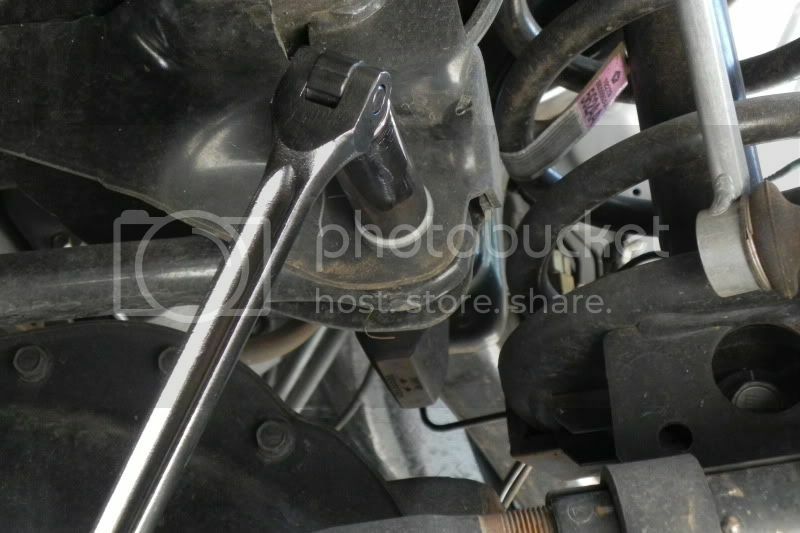 A 5/16" wrench and a small clip removal or screw driver will work. Don't forget to push the ABS sensor out of the liner. My truck uses a small fender liner instead of a flare, if you do have flares they come out with the same screws that hold on the liner. 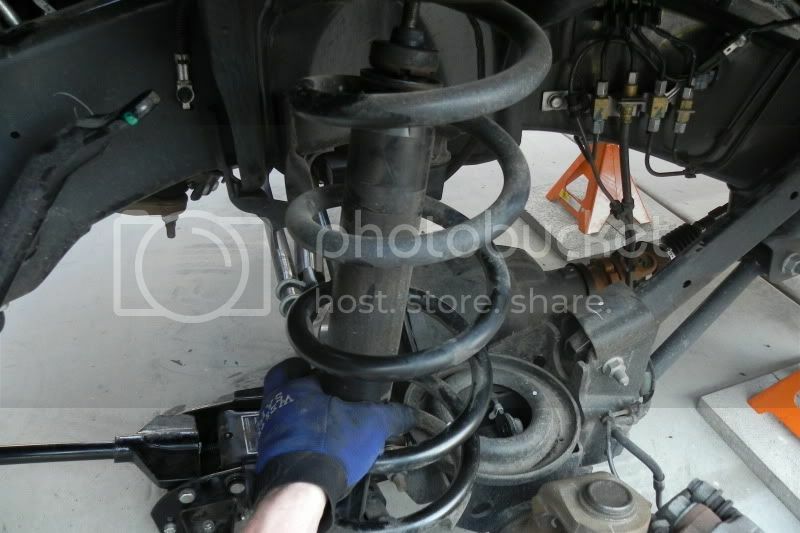 Before I take the truck off the ground I take out both shock bolts as well as the track bar bolts. A 21mm socket makes short work of everything. 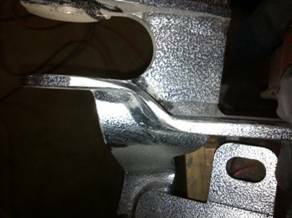 Just a note, some 10+ rams have either a 15mm socket which is the most common or an 18mm socket which is rare to remove the end link nut. 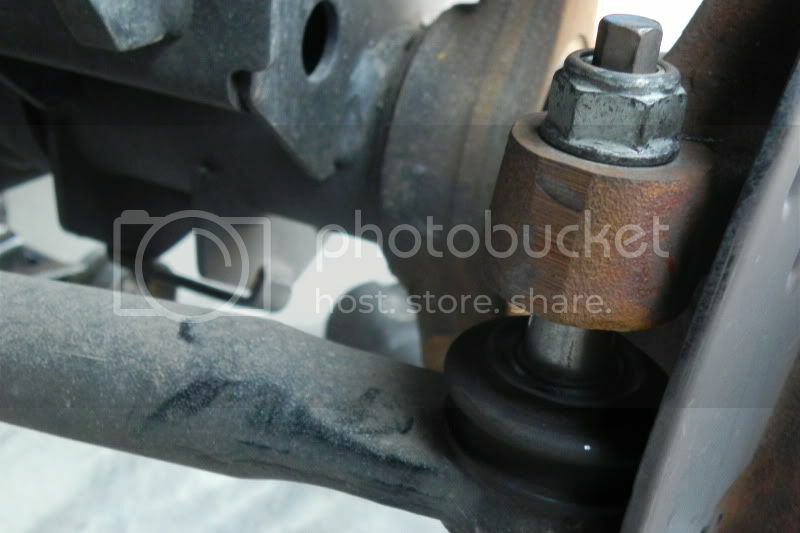 Take a 13mm socket and loosen up the brake lines at the axle; this is between the upper and lower control arms. 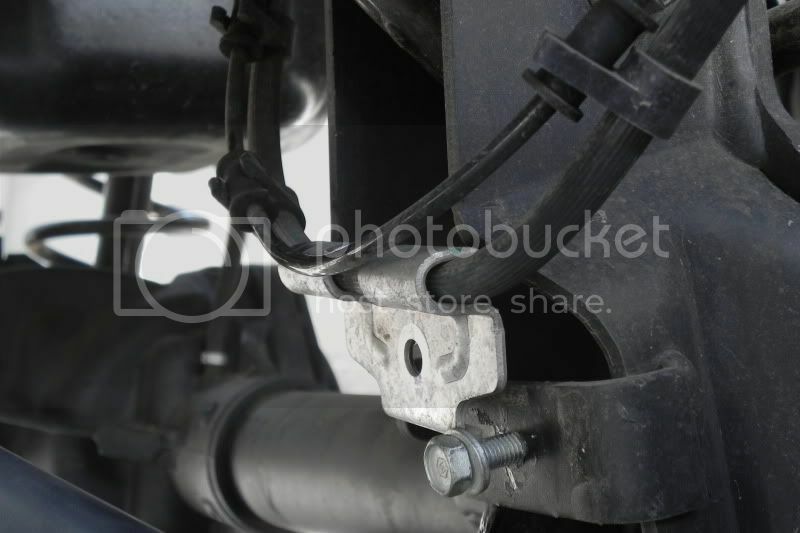 Be sure to do this so the brake lines do not get stretched during the initial spring removal. 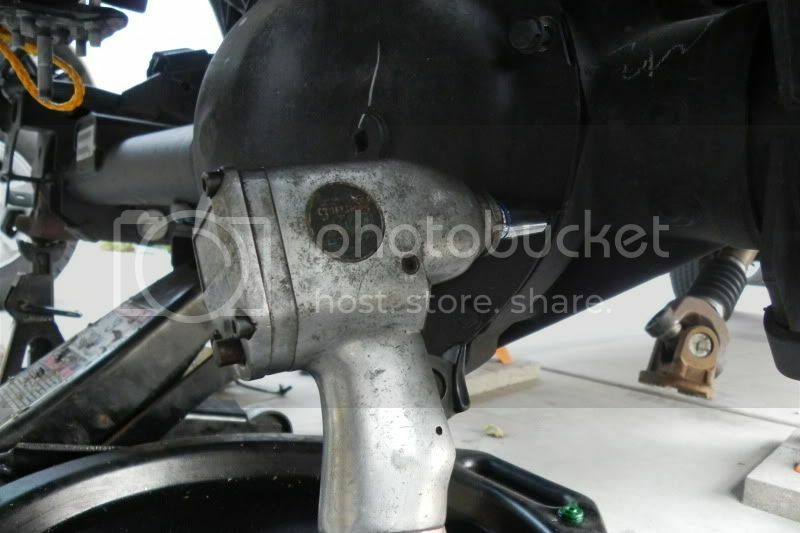 Go ahead and take a 10mm socket and an 18mm wrench and bust the upper shock mount loose. Now is the time to lift the truck up. 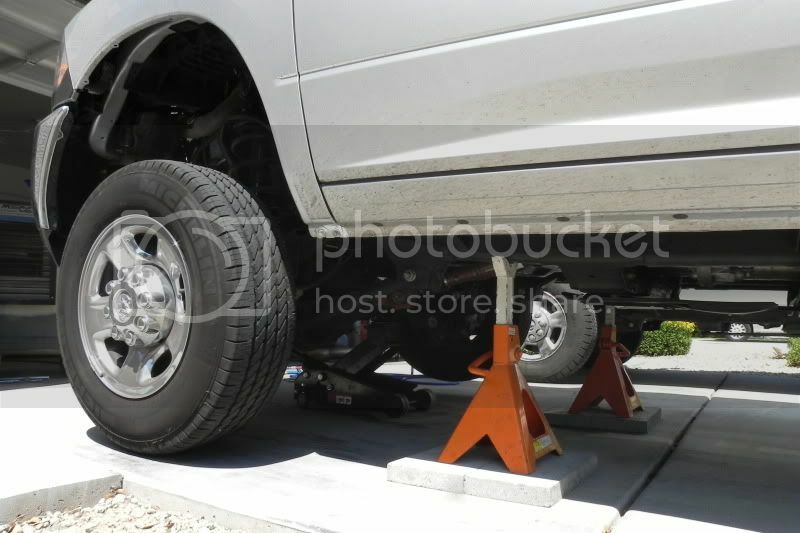 Use a jack at the axle to get the truck up high enough to put some tall jack stands under there. I personally do not like to extend it a lot so get some wood or a block under the base. 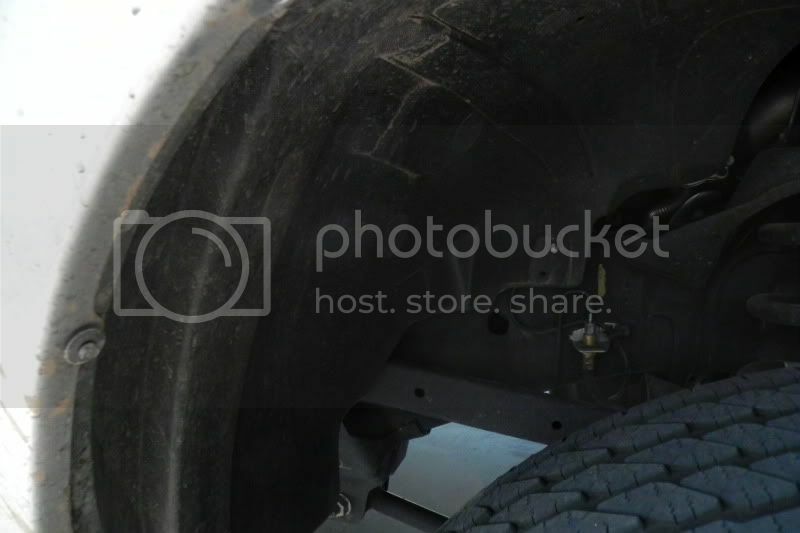 Just make sure you get the truck high enough so with the wheels removed the axle will fall far enough to get the control arms to rest on the frame. 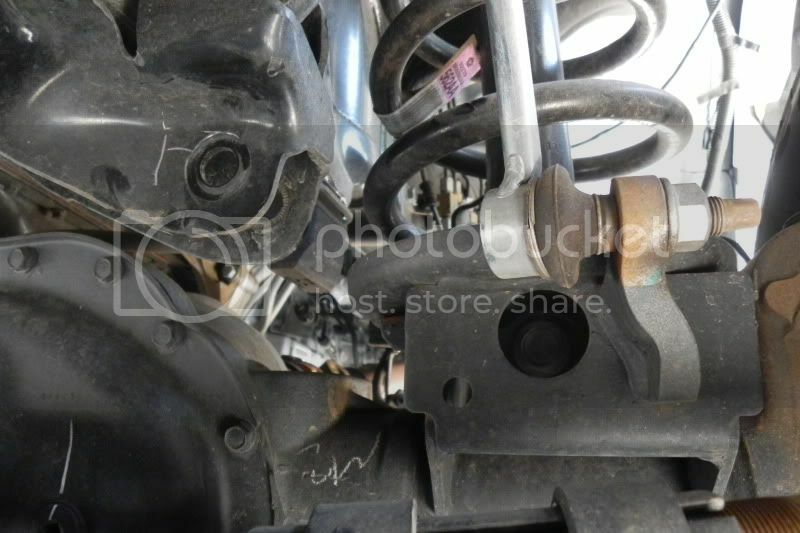 This will give you enough room to remove the coils springs and shocks. I went ahead and removed the tower since I have something planned for the future but you may or may not need to remove this depending on what your doing. A 15mm takes care of it. Infamous retaining rings that get tossed out a lot on leveling kits. 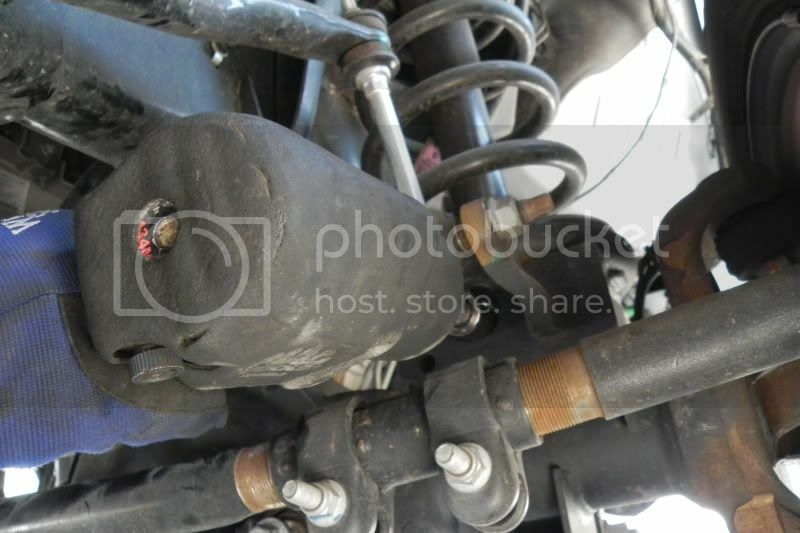 Use a pry bar to remove the shock. 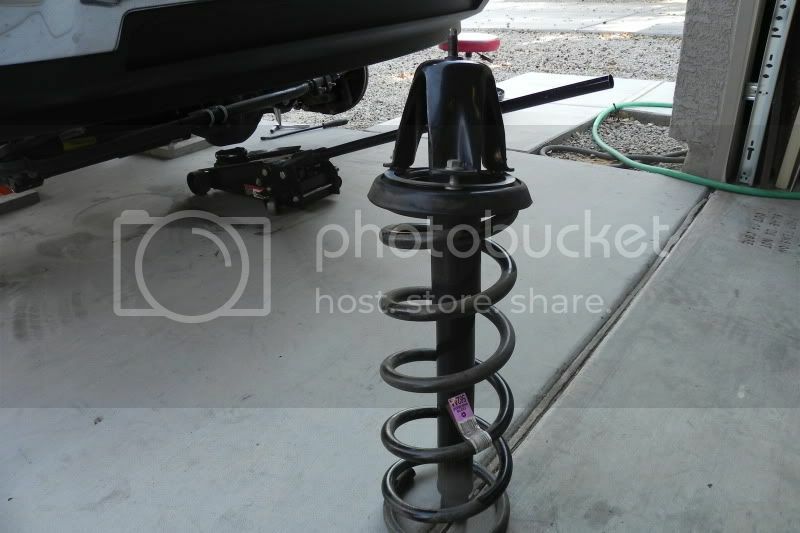 Now the spring and shock are ready to come out. 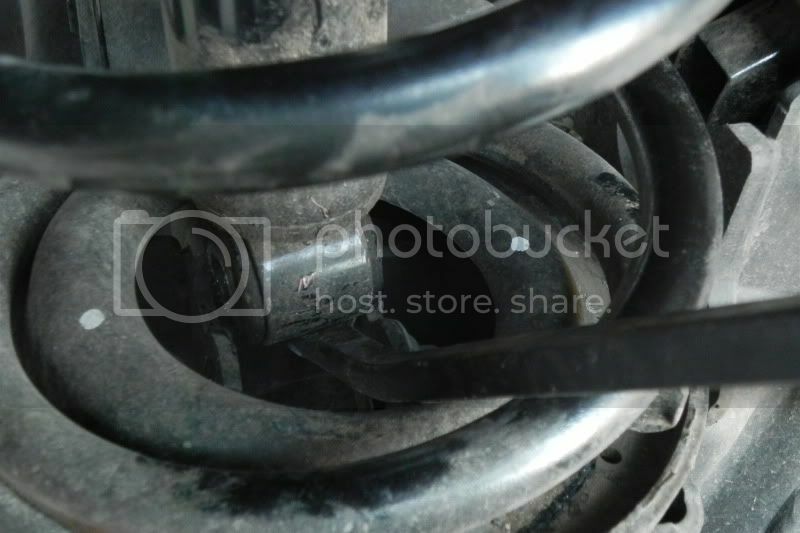 A side shot of all the pieces of the stock coil spring components; Tower, stud ring, isolator, shock and spring. 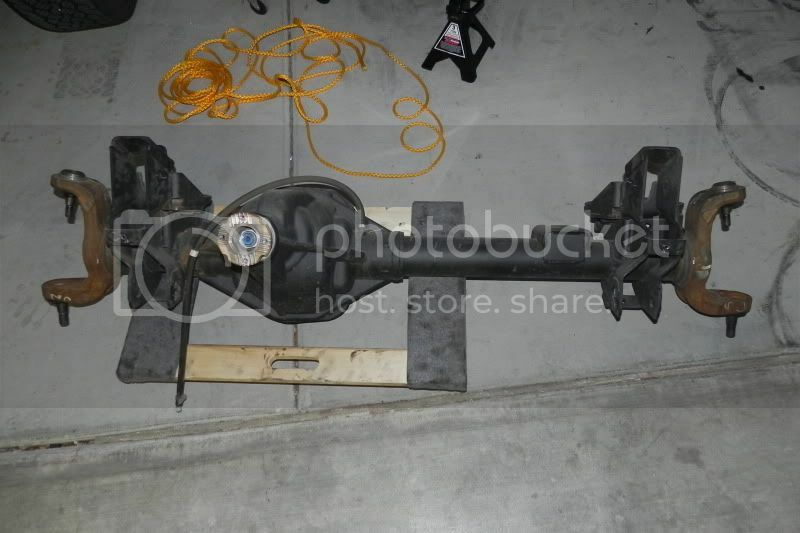 Now the parts that need to be removed for the axle removal. 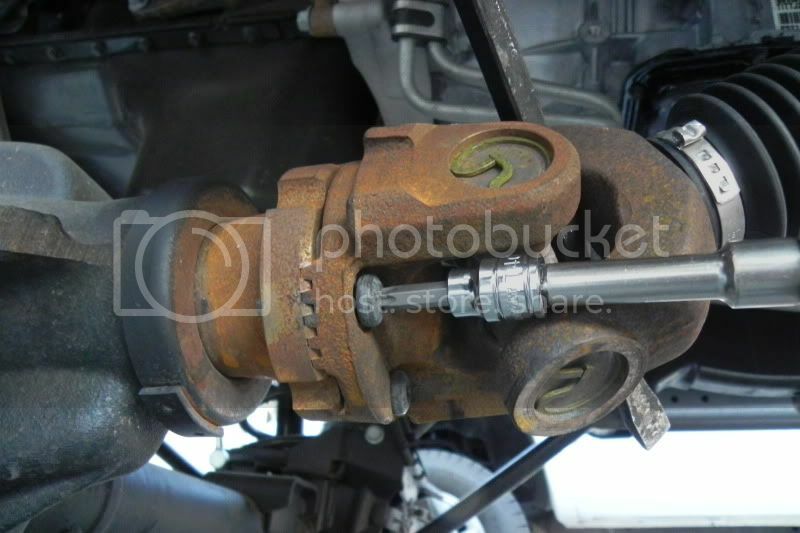 Front driveshaft needs a T40 Torx bit. 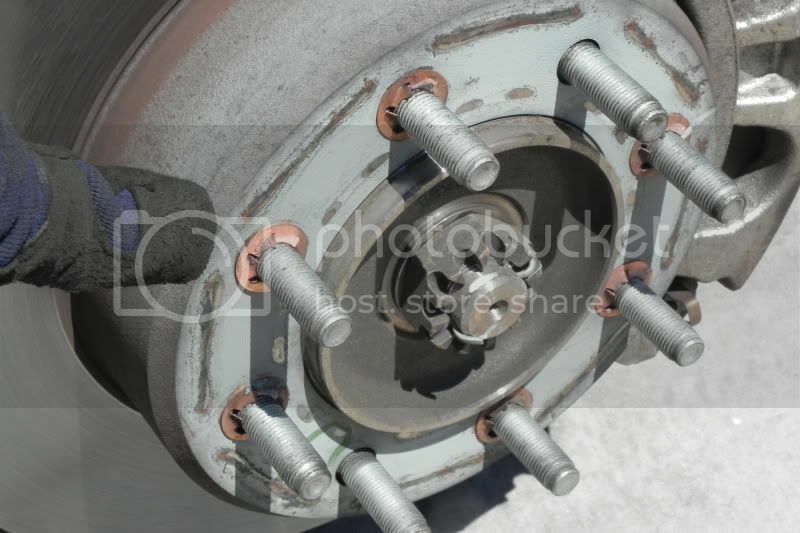 A little rotation and you should have access to the bolts. 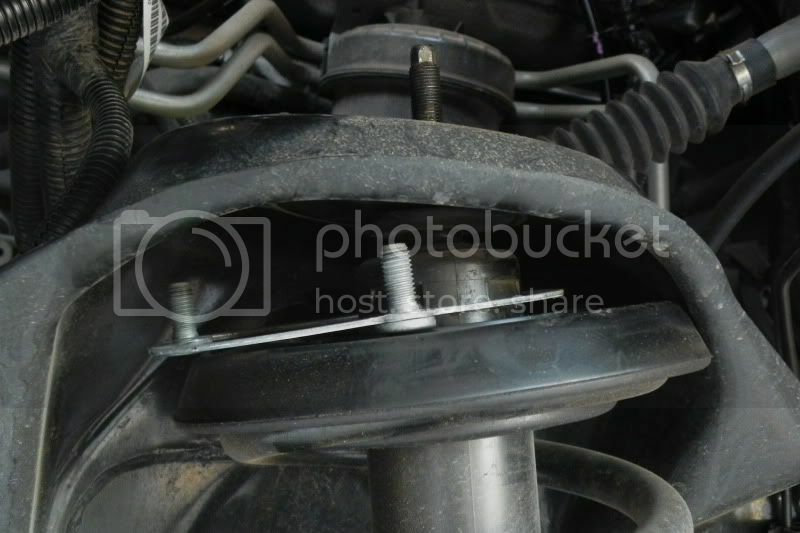 You may want to do this before the axle reaches full droop so that you can rotate the shaft as many times needed with out binding. 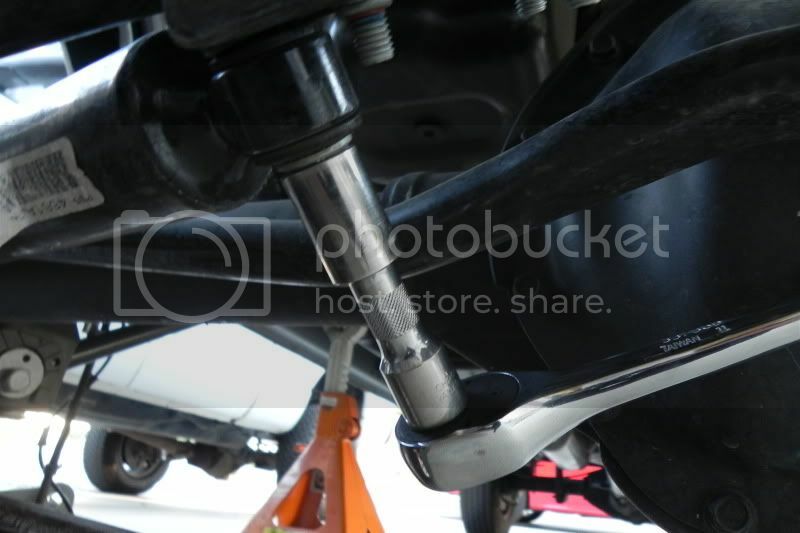 Hit the tie rods with a 21mm deep socket and a hammer. Next, remove those pain the @ss little brake rotor hold down clips. 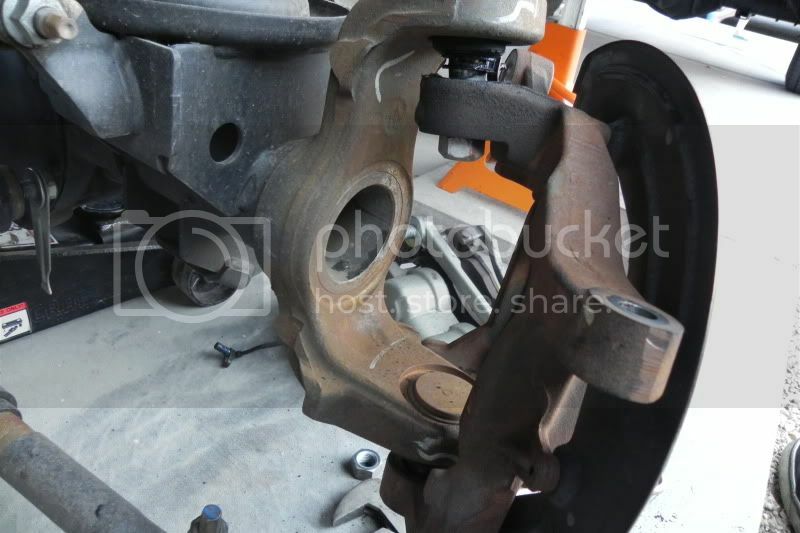 Remove the brake calipers. On the 4th gen they have a much bigger bolt. A 15/16" socket takes them off. 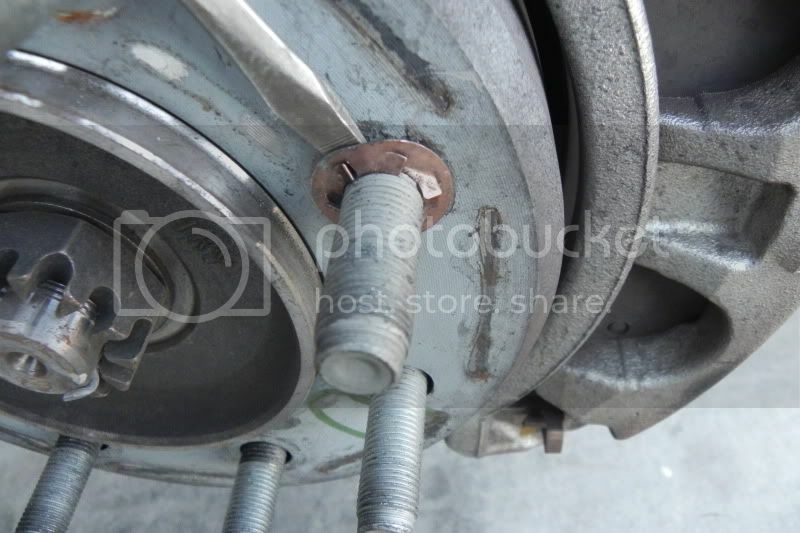 A 5/16" allen wrench will remove the abs sensor on top of the hub bearing. 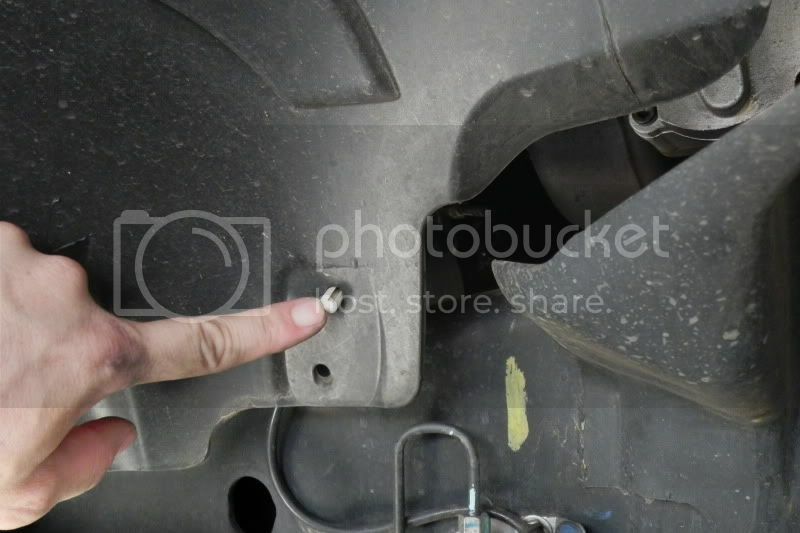 The 4th gen seems to use a hold down for the brake sensor. It's the little clip that needs be twisted up. 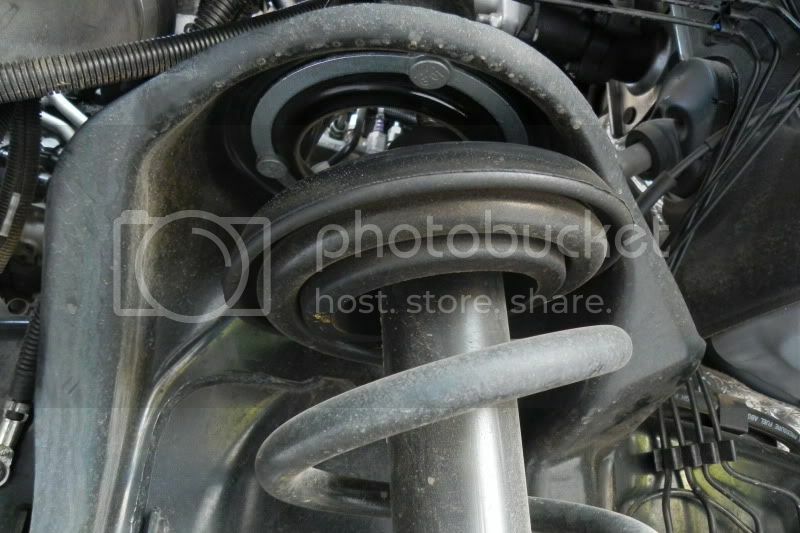 Next, the hub bearing needs to be removed. Four 18mm bolts are on the back and they usually come out pretty easy. Once those are out of the way, you're ready to pull the stub shaft out. 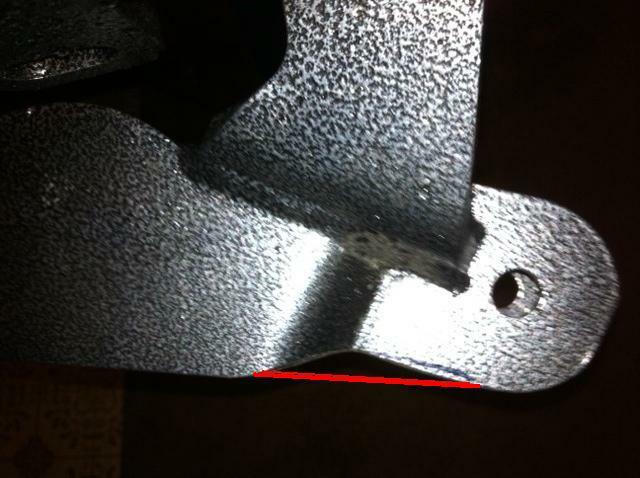 I use a pry bar between the axle and the housing. In Arizona it comes out pretty easy, but other people that are back east may not have it as easy. 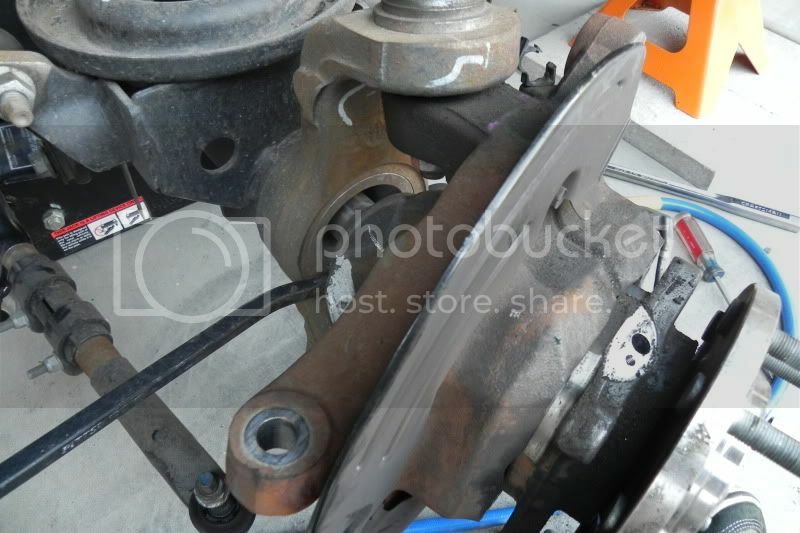 As you notice the brake caliper backing plate is different then a 3rd gen. Third gens are held on by the hub bearing, the 4th gens are held on by 3 10mm bolts. Regardless you do not need to remove them on the 4th gen.
Now that the shaft is out, lets pop the knuckle off. I use a 15/16" socket for the upper and a big crescent for the lower. Loosen the upper a little then move to the lower. 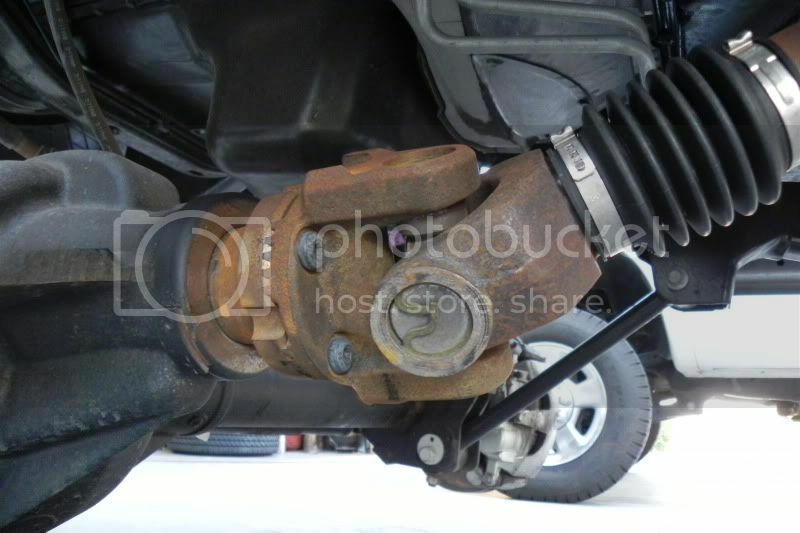 This will give you some room to smack the knuckle so it "unseats" from the ball joints. Use one of your favorite hammers and give it a smack around the upper part of the knuckle. 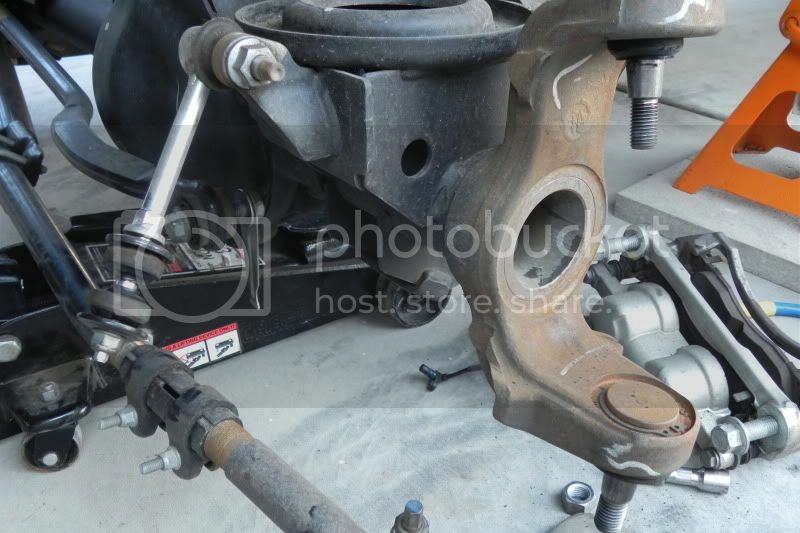 Remove the rest of the steering stabilizer. You can do this in an earlier step but I like to jump on the more time consuming stuff first then little things like this later. 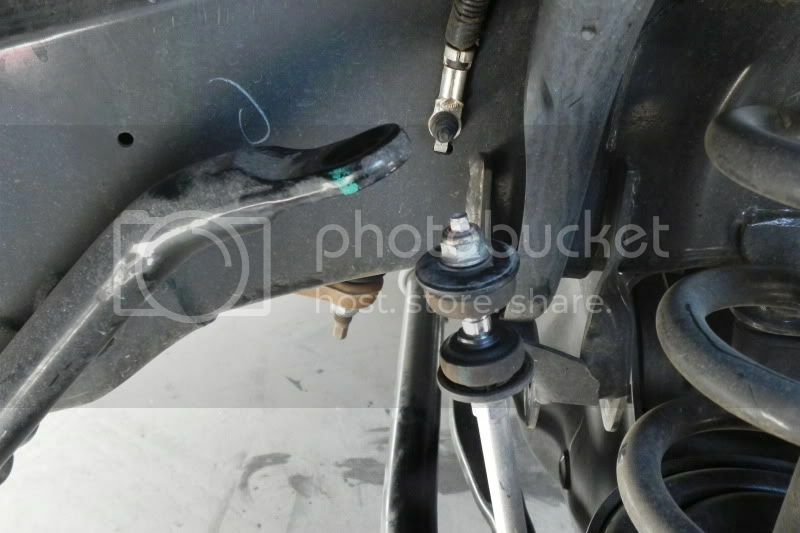 15mm at the axle with an 18mm wrench then an 18mm socket at the tie rods will remove the steering stabilizer. 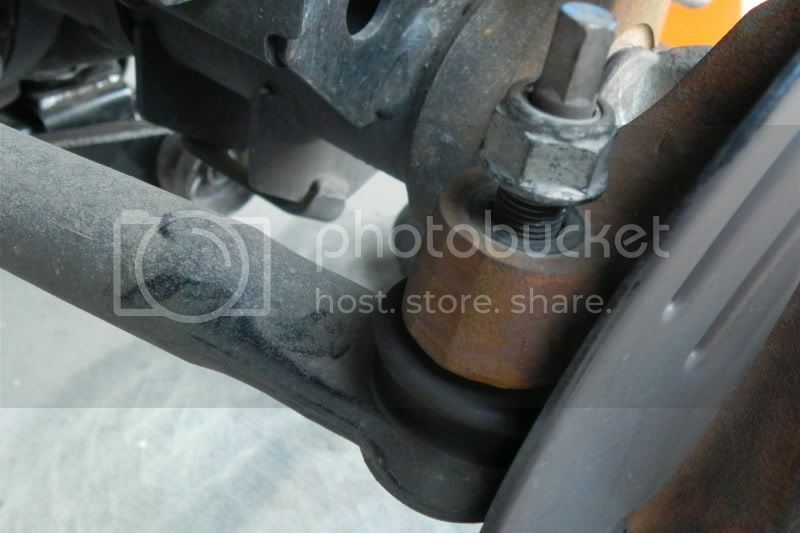 Use a 21mm to take out the other part of the track bar. Now back to the axle. 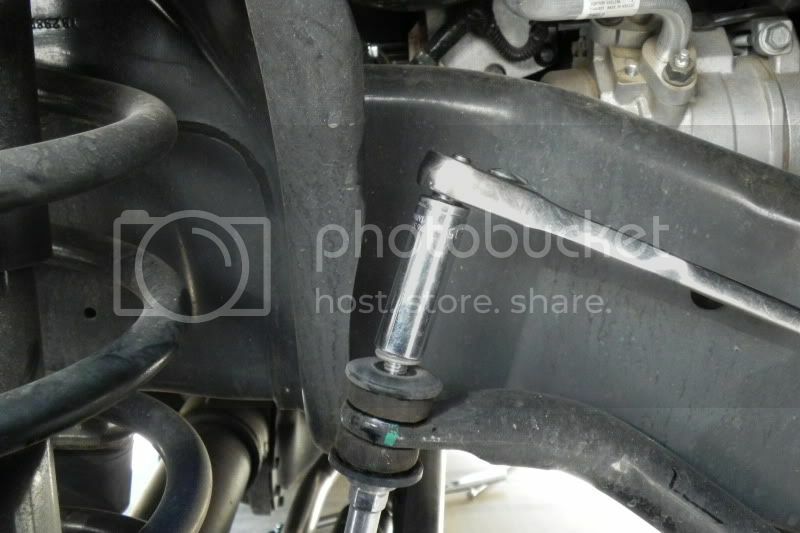 Use a 15/16" socket and loosen the cam bolt nuts. I use a breaker bar for this step. 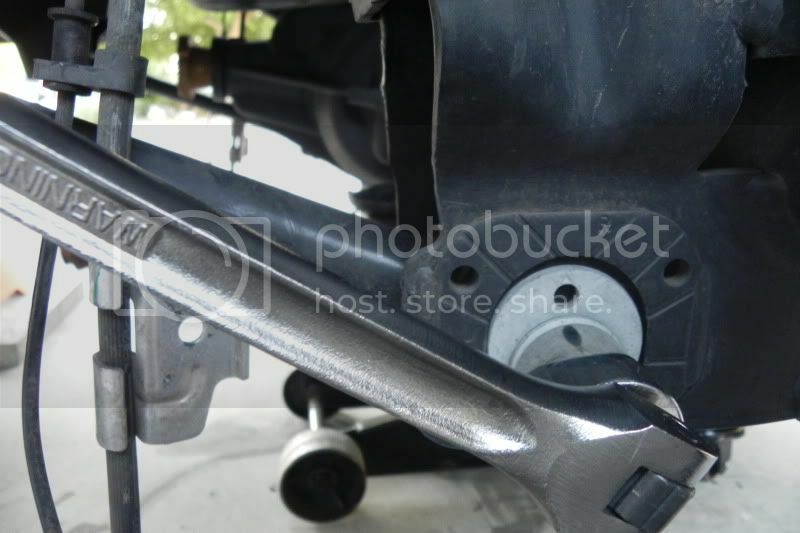 The only thing I forgot to picture is before you remove the control arm bolts is jack up the axle and slide under your small jack stands. 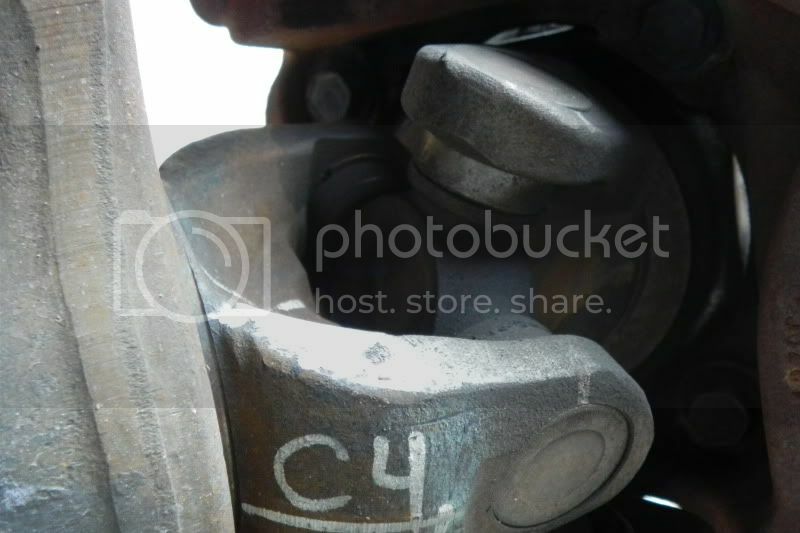 I put them right under the axle housing "C's". 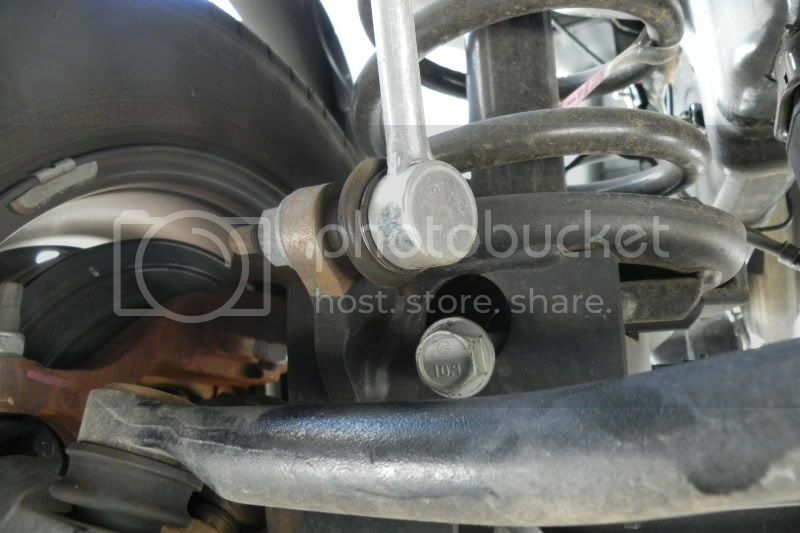 This is where the lower ball joint goes. 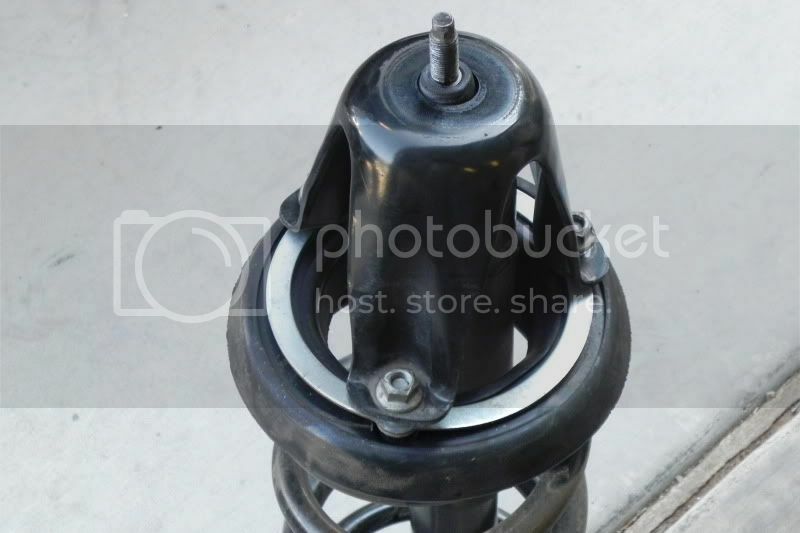 This way, once you pop out the bolts, the axle will not move around on you. You can also use two floor jacks. Another step that can be done sooner but I figure this would be a good time to drain the diff oil. 13mm socket works perfectly. 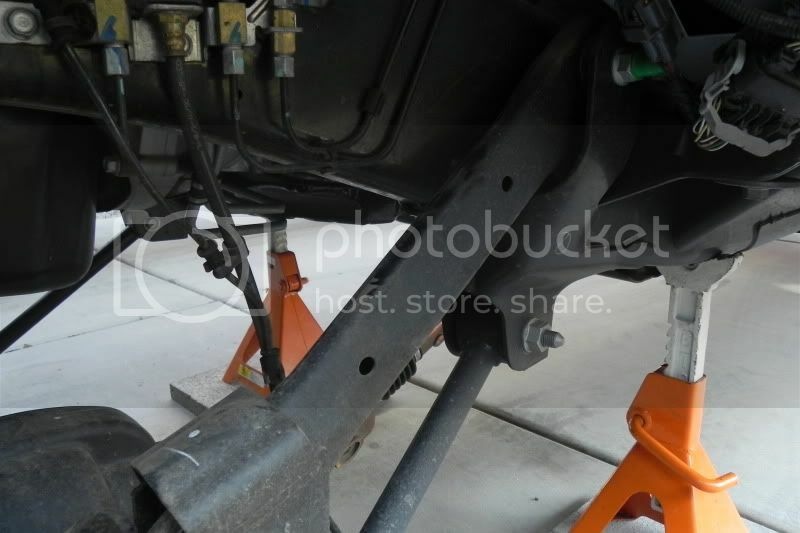 After the oil is drained you will need a hand to lift the housing off the jack stands. I use a furniture dolly but you can use a spare tire or another floor jack.